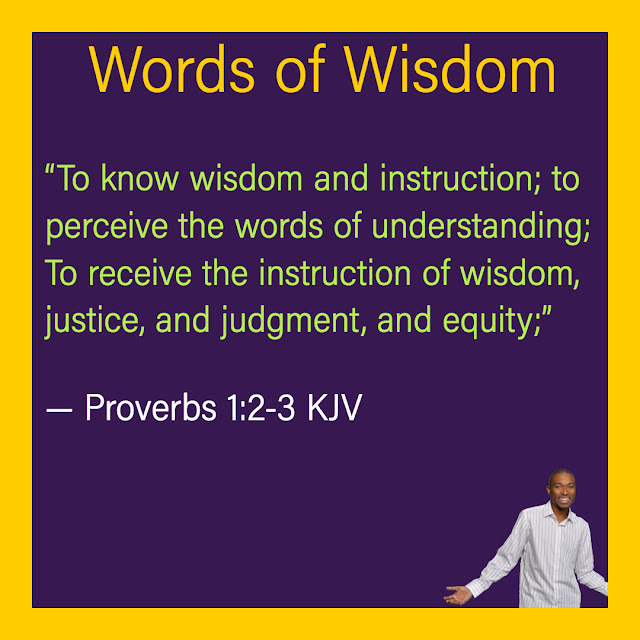 Today's Words of Wisdom is entitled "To Know Wisdom & Instruction"
Please understand the point of this series is for you to apply principles you where taught from your spiritual foundation. The following lessons I've learned is my interpretation of my spiritual foundation and I challenge you to interpret your own. "No matter what you believe in, there is "Good & Evil". Good people seek to be wise and learn from life's mistakes. So many people stay in a circle because they never gather understanding from life's lessons. In order to have an extraordinary life, you must be willing to receive the instruction of wisdom, justice, and judgment to become a better person. Always fighting for the equity of others as you grow your success!"